Three police officers were hurt in a stand-off lasting more than an hour at an apartment building in the beachside suburb of Brighton. 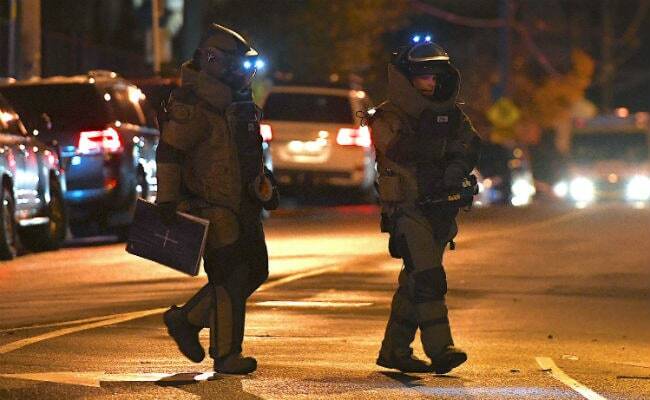 Sydney: Australian police on Monday shot dead a gunman in the city of Melbourne who had been holding a woman hostage, police said, a confrontation for which the terror group ISIS claimed responsibility. Australia, a staunch ally of the United States and its escalating action against Islamic State in Syria and Iraq, has been on high alert for attacks by home-grown terrorists returning from fighting in the Middle East or their supporters. Three police officers were hurt in a stand-off lasting more than an hour at an apartment building in the beachside suburb of Brighton, police said in a statement. A second man had earlier been found dead from a gunshot wound, they said. Victoria state police tried to negotiate with a man inside an apartment, they said in a post on their official account on social network Twitter, adding, "It's believed a woman is with him whom he won't allow to leave." An hour later, police said the situation had been resolved with the woman rescued. Three police employees suffered injuries during the incidents but they were not life-threatening, police said, without elaborating. Later, Islamic State said one of its fighters carried out the attack because of Australia's membership in the US-led coalition. "The attack in Melbourne, Australia was carried out by a soldier of the Islamic State in response to the call for targeting the subjects of the coalition states," the group's Amaq news agency said.